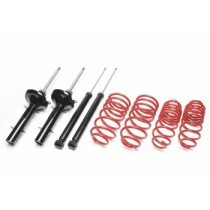 This TA Technix sport suspension kit is for the Mitsubishi Lancer type CY0 since 2007. This TA Technix sport suspension kit is for the Mitsubishi Lancer type CJ0 from 1996-2003. This TA Technix sport suspension kit is for the Mitsubishi Lancer Station Wagon type CS0 from 2003-2008. This TA Technix sport suspension kit is for the Mitsubishi Lancer type C60 from 1988-1991.